On this page we provide brief about FISKER brand, model and some review from customers of all the world. 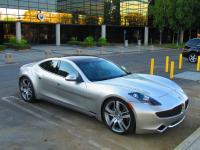 Founded in 2007, an American Automotive Company, based in California, the Fisker automotive has produced its first car model, Karma. The Karma is the plug-in hybrid electric car vehicle. This astonishing model not only has the brilliant design, but also the special zero emission Powertrain that is designed to compete the world’s top notch sporty roadsters, generating 20+ KWh of power by the rechargeable Li-Ion battery. In terms of the design, the model is highly sleek and comfortable as compared to the common sporty roadster with limited leg space. 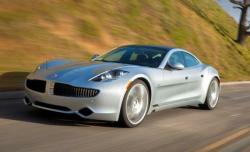 In addition, the company has recently come up with the new concept model, Fisker Sunset Concept. This concept car was showcased in the Frankfurt Motor Show in 2011, making an adorable presence among all the electric based zero emission car models. It is highly appreciable as the company has decided to work upon the eclectic car model which is not only the future but also an environment friendly approach.